SSH stands for Secure Shell. If you set up your SSH public and private key pair on your computer, you can bypass entering a password to access your web server. Some tasks can be done faster on the command line interface than on a browser. WordPress uses WP-CLI and Drupal uses Drush. Updating a group of WordPress plugins and themes is much faster on the command line than logging in to update them in the admin area. The same goes for Drupal’s modules and themes. You can’t update Drupal’s core at all via their admin area. On your MacBook’s Terminal application, go to your computer’s default SSH key directory by entering cd ~/.ssh. To check if you have an existing SSH key pair, you can run the ls command. Public SSH keys have a .pub extension and private keys have no extension. The default SSH public and private key names on a MacBook are id_rsa.pub and id_rsa. If you don’t see any keys in your SSH directory, then you can run the ssh-keygen command to generate one. You’ll be asked to enter a file name for the key pair. If you just hit the Enter key when prompted for a file name, the names of your private and public SSH key names will default to id_rsa and id_rsa.pub. Your identification has been saved in /Users/yourusername/.ssh/id_rsa. Your public key has been saved in /Users/yourusername/.ssh/id_rsa.pub. Now that you have a private and public SSH key pair, you can copy your public SSH key to any server that you have access to. So, let’s say you manage ten websites. If you have SSH access to all of those servers, and you copied your SSH public key to all of those servers, you would only have to remember only one passphrase from that computer. 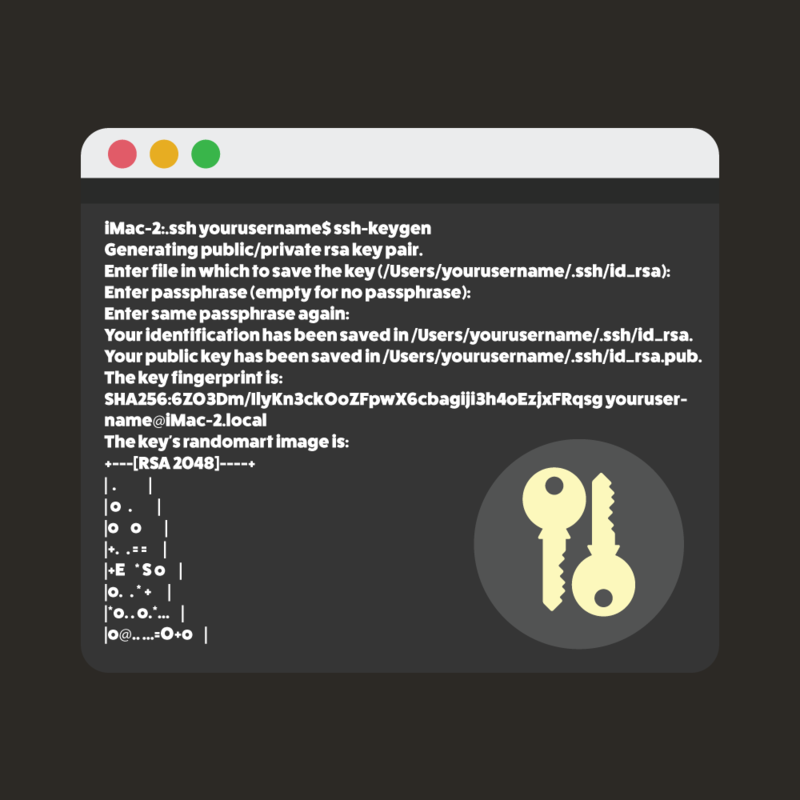 /user/bin/ssh-copy-id INFO: Source of key(s) to be installed: "/Users/yourusername/.ssh/id_rsa.pub"
Now try logging into the machine, with: "ssh 'username@yourwebserver.com'" and check to make sure that only the key(s) you wanted were added. If you enter your web hosting control panel’s password, the public key will be copied to your web server. 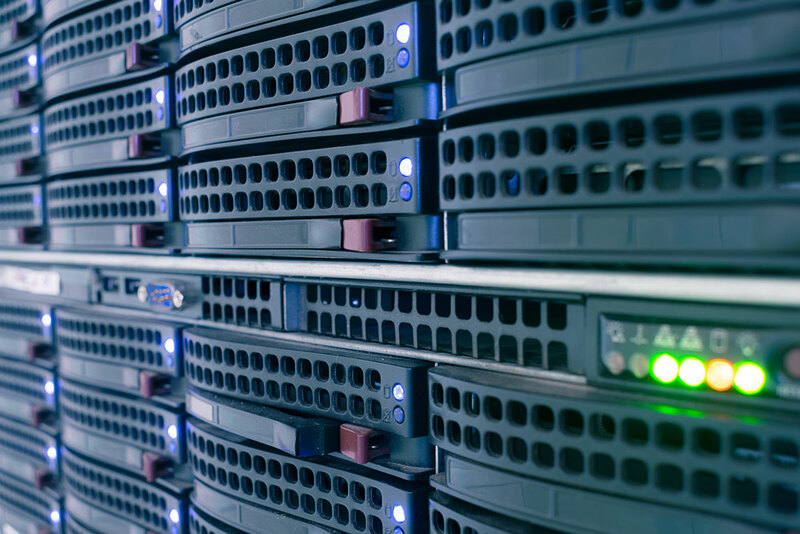 Repeat these steps on any web server that you want access to via SSH. After copying the SSH public keys, disable SSH password authentication. Be sure to click the Submit button to complete the import. If the public key that you added on your web server is the only public key, and your local computer is the only computer that has the matching private key, then that is the only place that can log in to your web server via SSH. If you added the same public key to multiple web servers, then you only need to remember one passphrase for SSH access. After entering this command, you’ll be asked for the private key that you want to edit. Hit Enter to edit the id_rsa private key. If you want to remove or edit an existing passphrase, you’ll be asked to enter your current passphrase. If the passphrase that you entered was correct, you’ll be asked to enter a new passphrase. If you’re changing a passphrase, enter your new passphrase twice. To remove a passphrase, just hit Enter twice. If your private key didn’t have a password, you’ll be asked to enter one twice. Your identification has been saved in dummy-key. Your public key has been saved in dummy-key.pub. Thanks for reading this post. If this post helped you, I’d appreciate it if you shared it on social media or left a comment below.